When it comes to upholstery and carpet cleaning in Bromley and surrounding areas, All Gleaming Clean is the company you call. We utilise truck mounted systems, 20 times more powerful – and therefore more effective – than the usual portable cleaning methods. Truck mounted units deliver deep steam cleaning and quick drying times. Self-sufficiency is the beauty of these cutting-edge units, eliminating the need to rely on electricity and hot water supply. With no bulky equipment required, our team will be able to work faster and more efficient with just the wand and hose. As a premier carpet cleaning company, our system of choice can recover up to 98% of moisture as compared to a mere 50% from portable units. All dust mites and residual odours are pumped back into the truck and not left to circulate around the house, effectively preventing a host of health problems. At All Gleaming Clean, the minimum improvement you can expect from our solutions is 90%; if we can’t achieve it, we will inform you immediately. Our units have enough hosing to go up to 20 storeys. Stain removal and deodorisation are included in our pricing. We accommodate any residential and commercial work. When we come to do your cleaning, we’ll clean a small area and show you the results. If, for any reason you’re not happy, we’ll leave, and the cleaning is free! We don’t charge for coming out to give you a quote.  We’ll test your carpets to determine the best way to give you great results and give you a written quote that includes a 15% off introductory offer. Our carpet and upholstery cleaning service gives very fast drying results,. This means that even if you need your carpets back in use quickly, we can do it! Tom Sultana founded All Gleaming Clean in 1989, and since then, this family-run business has grown from strength to strength. Offering a range of cleaning services, from upholstery and carpet cleaning to driveway and patio cleaning, we always seek to provide the highest quality and professional service. All Gleaming Clean cover the Bromley, North Kent and South London. If you have any questions or would like to learn more please feel free to get in touch.